World Cup Football Today – Page 2 – Follow the ins and outs of the World Cup! South American football giant Brazil have been named the number one football nation according to the latest FIFA world rankings. Brazil were ousted in the 2010 World Cup in South Africa by the Netherlands in the quarter final stage. Since then Brazil have not been ranked the top footballing nation until the recent release by FIFA. Brazil have 58 points more than closest rival Argentina to lead the rankings. Brazil have showed spirited performances in the Copa America World cup qualifying campaign, winning all of their last ten games. They lead the pack now despite facing the threat of missing out months back. The most recent result was the 3-0 rout of Paraguay. Current coach Tite replaced Dunga mid last year after a disastrous performance at the Copa America Centenario. Brazil had been suffering poor confidence after infamously exiting the 2014 World Cup, suffering a huge defeat in the hands of a disciplined German side. They lost to Paraguay in the 2015 edition of Copa America with a recap the next year being the tipping point. Since Tite came on board, Brazil have turned their fortunes around. They are the first team to qualify for Russia 2018 after eight straight wins in the qualifiers. Argentina dropped to second place with points’ total of 1603. Germany were at a distant third with 1464 points. Chile, Colombia, France, Belgium, Portugal, Switzerland and Spain completed the top ten. Northern Ireland moved up the most, rising to 26th from nine spots behind. Uruguay were the biggest ‘losers’ in new rankings as they dropped six spots to 15th. 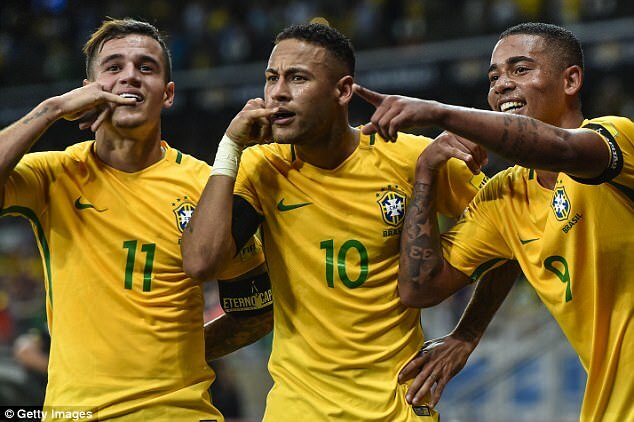 After seven years of trouble, could Brazil be ready to re-establish their prominence in world football? The head coach of the Spanish national football team Vicente del Bosque stated that his squad will and has learned from their failures that were evident during the 2014 edition of the World Cup. Spain made a disastrous run in the 2014 World Cup after not being able to get past the group stages due to having lost against: Netherlands and Chile. When the tournament reached it’s end, Vicente del Bosque later went on saying that his squad is not going to perform in such an underwhelming manner and that his task is to help Spain become the 1rst national side to win 3 successive European Championships. ‘’We go into the tournament with the maximum ambition and that is to defend the title that we achieved four years ago. It’s the same situation that we were in at Euro 2012 but with a bit more responsibility because we now have to defend two straight titles’’ This was the statement released by Vicente del Bosque before the 2012 Euro’s had kicked off. The Spanish national side won the 2008 and 2012 edition of the Euro’s and Vicente del Bosque wanted to do the same with the 2016 Euro’s but failed to do so after getting eliminated in the Round of 16 when they faced off with Italy and lost 0-2. It seems like Spain has started to crumble ever since the 2014 World Cup initiated and Vicente del Bosque along with his squad have struggled trying to replicate the performances that they have done a few years ago. Vicente del Bosque hung up his managerial boots on June 14 of 2015 and JulenLopetegui replaced him, it’s now his task to start rebuilding the Spanish national side and help them become the dominating team that they once were some time ago and with the 2018 edition of the World Cup on the horizon, Lopetegui is hoping that Spain does not go through another disastrous World Cup. 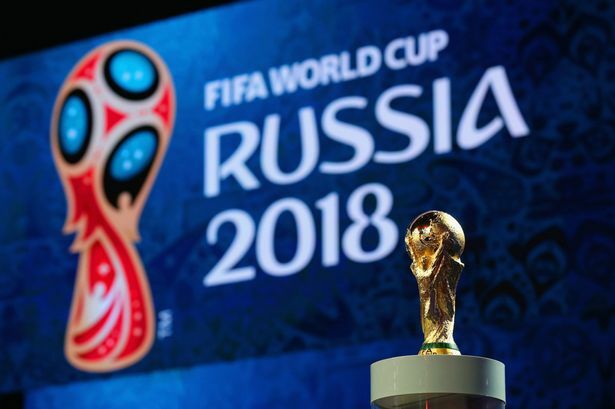 The 2018 edition of the FIFA World Cup is scheduled to kick-off on June 14 of 2018 and expected to finalize on July 15 of that same year and the Russian Deputy Prime Minister Vitaly Mutko has urged FIFA to be more active in their quest of promoting the upcoming worldwide competition and make more people be interested in watching the approaching tournament. Not too long ago, a number of FIFA executives were involved in scandals, briberies and allegations of this nature which led to various figures in the football organization being either fired, arrested or resigned from their position. 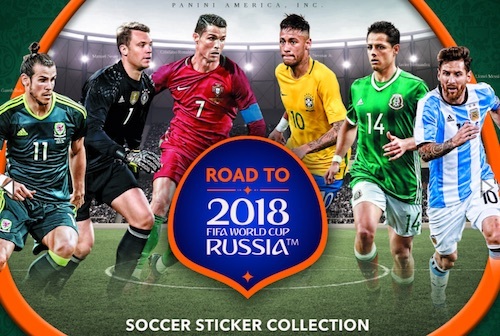 The Russian Deputy Prime Minister Vitaly Mutko wants the upcoming 2018 FIFA World Cup to be better than all of the previous ones and help clean the image that FIFA has been tainted with in recent times. Gianni Infantino was the new president that was selected to replace Sepp Blatter who was also involved with scandals and he had to step down from his presidential position in FIFA and Infantino is one of the main figures that has the task of getting FIFA back on track by trying to erase all of this recent forgettable period of time which has been filled with so many unremarkable events. “We expect questions to Russia from him Infantino. We would like FIFA to be more active in promoting the World Cup. We don’t have any alarming question to him.” This is what the Russian Prime Minister Vitaly Mutko said as he urged the new president Gianni Infantino and his entire team in being more active in their task of promoting the 2018 FIFA World Cup. The opening match of the 2014 FIFA World Cup witnessed Brazil facing off with Croatia and this match had over 40 million people watching this match and throughout the remainder of that competition, each match had a consistent string of large amount of spectators and this is what the Russian Prime Minister is hoping that will occur but have an even larger amount of viewers for the approaching 2018 FIFA World Cup. Barcelona defender Gerard Pique has revealed that he wanted to retire from international football after the last World Cup in 2014. He said that he was not motivated anymore after having won the Euros and World Cup in previous years. The player has revealed that it is only after talking with the coach Vicente Del Bosque that he has continued to play for the Spanish national team. He said that he was disappointed by the way Spain play in the World Cup in Brazil and felt that it was perhaps time to give chances to other players. Pique said that he had already announced to his friends and relatives that he would not continue after the World Cup 2014 and it is only the Spanish coach that convince him to change his mind. He said that it was also a question of motivation as he has won so many things already. He said that he was won all the different trophies available at club level with Barcelona and that he already had won the Euros and the World Cup with Spain. He felt at that time there was no reason for him to continue fighting and that it was better for him to leave the international team. He said that since the arrival of Enrique at the head of Barcelona things have changed. The coach has successfully motivated the players, and they are ready to fight again. He said that he wants to play again and to come back to his best level. Gerard Pique said that he wants to prove to himself that he is still the best in the world and that he wants to participate in the next World Cup in Russia. He has however revealed that he will be retiring after the 2018 World Cup. Memories of the infamous World Cup 2014 semi-final between Brazil and Germany will be played out as the Brazilian’s take on Germany for the Olympic gold at the Rio 2016 Olympic tournament. The 7-1 thrashing will forever remain as one of the worst results for the Brazilian national team, which is ironically regarded as the best in the world. Brazil have been hugely successful in terms of national trophies after having won a record five World Cup titles and several Copa America winner’s medal. However, the Olympic gold medal has been the biggest absentee from the trophy cabinet. Brazil superstar Neymar set out at the Rio 2016 with the objective of achieving the ultimate glory of Olympic gold. The only opponent that stands in their way now is Germany. It is not surprising given that Germany are widely thought to have the best youth setup in the world now. Youth played a major role in making Germany as world champions with victory at the World Cup 2014. Most of this youth have been retained for the Olympic tournament while Brazil brought in Neymar as one of the overage players. The move has so far been highly successful for the home nation, but they have to get past the final hurdle. Brazil coach Rogerio Micale says that all players are looking forward to beating Germany and get revenge. “We are going to deal with the pressure as we have done so far. We knew there would be a lot of pressure to win the gold medal as this would be an unprecedented achievement. We will work as we have done from the start and we will deliver results by striving to our absolute utmost. We will give our all – our football is not just about quality, but also perspiration which is why we can hope to make our big dream come true,” said Micale. World Cup 2014 winners Germany has some reconstruction work to do after their defeat at the Euros in France. Indeed, Germany did not appear to be as strong as they were in the Brazilian World Cup and had some major changes to make if they want to win the next World Cup. Some pundits believe that Germany’s football has stalled during recent years and that there is not a lot of development taking place. At the moment there are not a lot of young German footballers coming on the world stage, and there seems to be a problem with their development program. Unless Germany makes some changes to the way they develop new players, they may end up in trouble as other European nations. Some pundits are comparing the situation to the Netherland where the Dutch team is lacking quality players at the moment. They fear that the World Cup winners are in a process of decline and that there is no replacement coming up. Once the generation of Ozil, Muller and Neuer is gone there will be no replacement. Germany will have to make a thorough assessment of their development program and ensure that they are developing players that are consistent with modern football. The Dutch federation has done the same after failing to qualify for the Euros, and they asked assistance from world-renown coach to help them develop a proper strategy. At the moment it seems that Germany should be able to recover in time for the Russian World Cup because their current team seems to be coming to maturity. They should be able to make a more than decent performance at the next World Cup, but they will need to worry about the subsequent tournaments as their current players will be past their prime by then. Netherlands sealed the 3rd place of the 2014 World Cup after claiming a convincing 3-0 triumph over Brazil as they played on July 12 back on 2014. The Dutch team left the international tournament on a high note with a positive victory but things have not been going well for the national team ever since that competition reached it’s end. GuusHiddink was appointed as the head coach of Netherlands on March 28of 2014 and upon signing his contract, he agreed to be in charge of the national side through the 2016 Euro’s but after a string of defeats Hiddink left his managerial position sooner than expected. It was confirmed that Hiddink was actually fired from managing Netherlands after having lost against Czech Republic and Iceland. These games played an important role for the national team as they were qualification games for the upcoming 2016 Euro’s. Danny Blind was selected to replace GuusHiddink and underwhelming results still continue emerging as Netherlands lost their Euro’s qualification matches over Iceland, Turkey and Czech Republic.All of these defeats took a huge toll on Netherlands as they weren’t able to qualify for the 2016 Euro’s which is a huge blow for the national side as the Dutch team was one of the better ones during the 2014 World Cup. When playing against France in their friendly match, Danny Blind utilized a defensive formation as he set up his team with 5-3-2 but it couldn’t do much to stop France from scoring 3 goals and coming out on top with the victory. This is proof of how much the defensive department of Netherlands has been struggling in recent times as they conceded 3 goals against France and 3 goals against Czech Republic as well. The offensive section of Netherlands is not doing so well either with: Robin van Persie, Klaas-Jan Huntelaar, Wesley Sneijder and ArjenRobben all of them surpassing the 30 year old mark and the new generation of players still haven’t stepped it up at the big stage. Luis Suarez is set to make his return to the Uruguay national team after almost 2 years absence due to a ban. The striker has missed 607 days of action for the national team after he was found guilty of biting Italy defender Georgia Chiellini during the World Cup 2014. He was given a four-month ban from all forms of football and an additional nine match ban from the national team. After this extended absence, he is set to feature for the national team in the World Cup qualifier against Brazil. The Barcelona player could not have dreamed about a better fixture for his return. Uruguay coach Oscar Tabarez claims that the player can be very emotional since there must be a lot of things going on his head. Suarez will be coming up against his Barcelona teammate Neymar in a match that is expected to be packed with fans. The World Cup 2018 qualifiers in South American region has been strange with many of the favourites like Brazil and Uruguay struggling for dominance. Ecuador currently lead the table with 13 points but they are in danger of being overtaken by Uruguay should results go the way of Oscar Tabarez’ team in the latest round of matches. Ecuador are up against Colombia and Paraguay in March. “Suarez should be emotional; should have many things going on in his head after being away from the team,” said the national team coach of Uruguay, Oscar Tabarez, about the return of his star player. After the game against Brazil, Uruguay will be facing Peru in a game that should guarantee them three points. Brazil, meanwhile, continue to struggle after having taken only two wins from their four games so far. The nation is in grave danger of missing out on a place at the World Cup. If Mario Balotelli wants to make a return to the Italian side, he has to prove to CesarePrandelli that he has changed and that he truly deserves to represent his country. The last time that . Throughout his career, Balotelli has built a reputation of being a player who gets angered easily and does not like to follow instructions. There have been occasions when Balotelli has received a red card or a sanction due to his behavior and this one of the things that he has been mostly critiqued but according to Ac.Milan’s CEO Adriano Galliani, Balotelli has experienced a radical change since arriving to San Siro. Adriano Galliani stated that Balotelli is now the man who is usually the last one to leave the training sessions as well as the first one to arrive and that Balotelli now has a completely different attitude compared to a few years ago. If all of this is indeed true then it’s good news for Mario Balotelli and for Ac.Milan his career can finally kick off in full force and the Italian club will have at their disposal one of the players who has been most highly rated and praised since he arrived to the big stage and maybe he can start becoming the played that the media have always hyped him up to be.